Milton Bradley #21 of the Chicago Cubs poses during photo day at the Fitch Park Spring Training complex on February 23, 2009 in Mesa, Arizona. 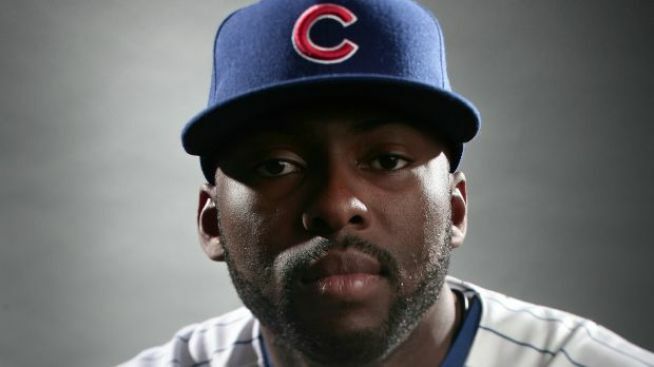 Milton Bradley abandoned his Magnificent Mile property and owes his landlord about $44,000 in back rent, the Chicago Sun-Times reports, citing court papers. The landlord and the realty company that helped lease a 24th-floor Park Hyatt condo, at 800 N. Michigan Ave., is suing the former Cubs player for $44,100 in back rent, late fees and interest. And they'll be seeking further rent until the lease runs out. His landlord says he walked out on the $15,000-a-month lease in the fall. The condo owner, Pantelis Kotsiopoulos, confirmed the embattled ballplayer was his tenant. Court papers filed in Cook County Circuit Court show Bradley began renting the unit April 1, 2009 -- and quit paying in October. "Bradley abandoned the Leased Premises on or about Oct. 12, 2009," the suit states. The Cubs traded Bradley to Seattle last month.